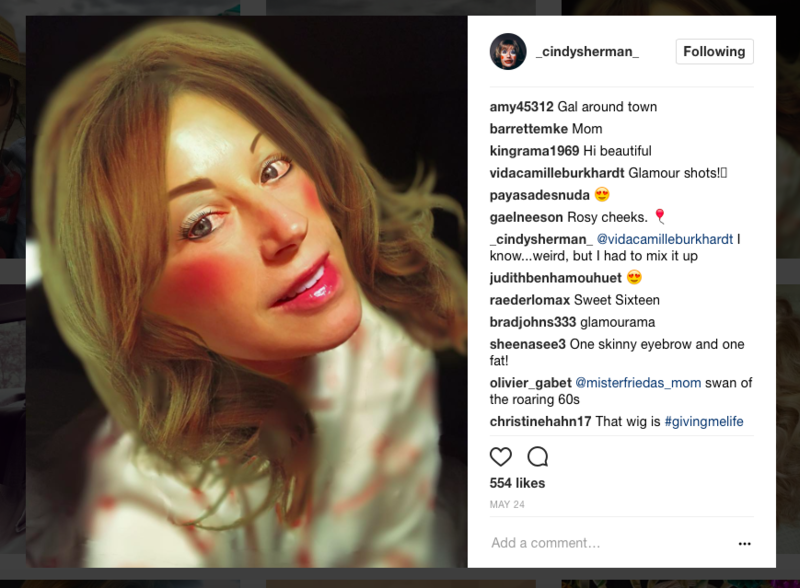 Long before Mayfair or Valencia filters, Boomerang or flower crown selfies, Cindy Sherman ruled both behind and in front of the lens, creating an oeuvre of the most elaborate selfies. 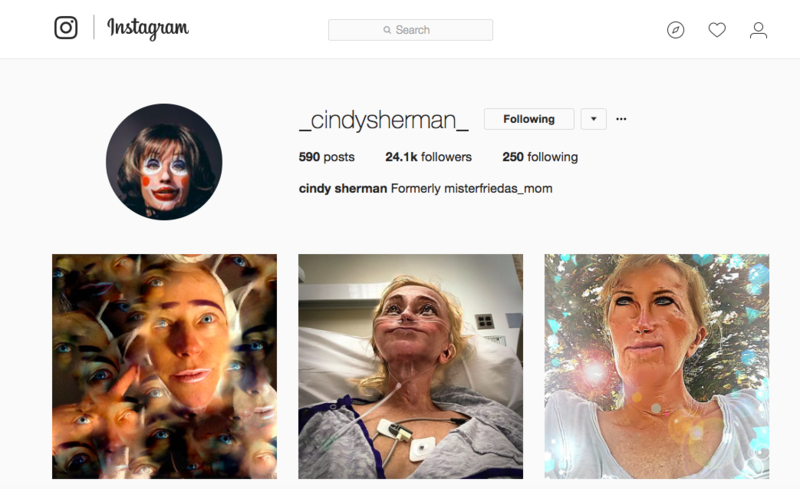 The account features both personal photographs as well as images that bear a resemblance to Sherman's artistic work. 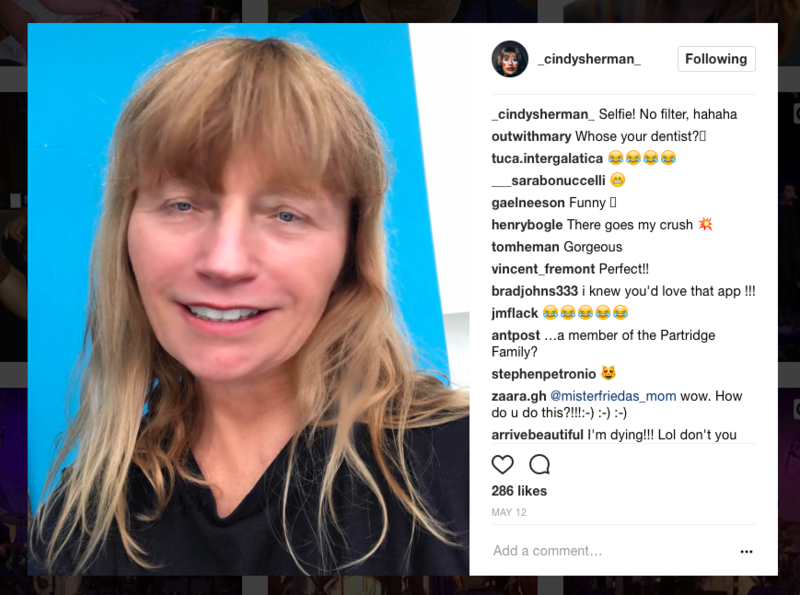 However, the distorted close-up portraits have some in the art world questioning whether this is Cindy's way of releasing a new series of works. 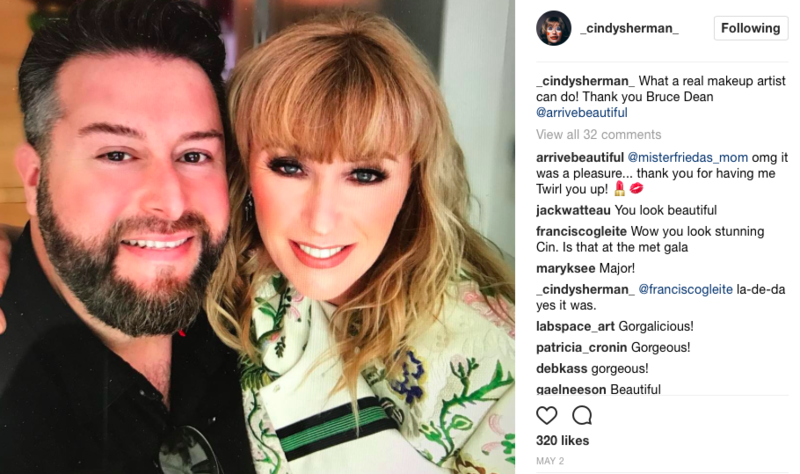 Whatever Cindy's prerogative, we would double-tap!